Being an avid fan of Phillips Brewing & Malting Company since I first tried their killer Amnesiac Double IPA, I was psyched at getting the chance to see where many of my favorite beers like the Longboat Chocolate Porter, 3rd Blind Mouse and Electric Unicorn were born. As soon as I entered Phillips Brewery, I was immediately greeted by the vibrant Bill Stuart, who put a cold glass of Raspberry Wheat Ale into my hands. I will say when someone greets me with a hardy “hello there!” and places a beer in my hand in the same breath I know it’s the start of a good time. The Raspberry Ale was one of the few from Phillips I haven’t tried and I finished it pretty quickly. I am a sucker for a fresh fruit brew and this seasonal sweetie didn’t disappoint. Bill proceeded to tell me the story of how the owner / operator, Matt Phillips, started off. 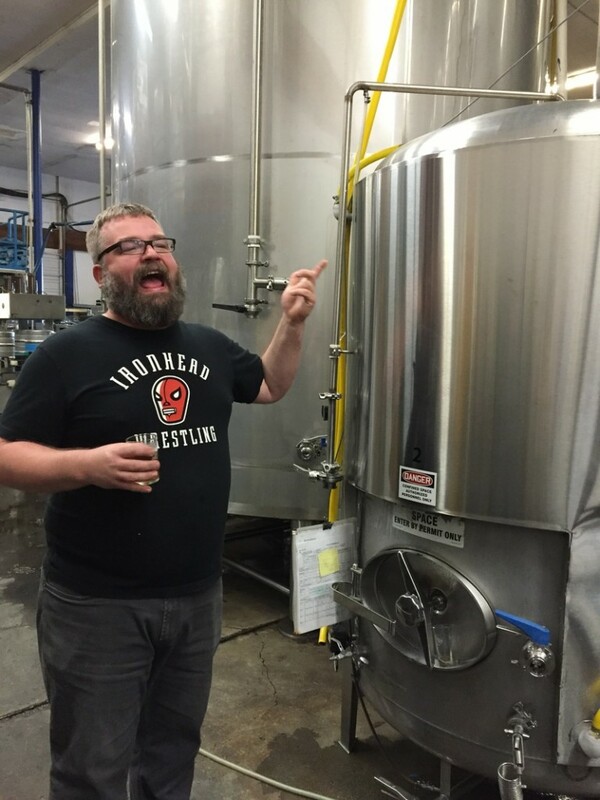 With his degree in microbiology, passion for craft beer and perseverance Phillips Brewing & Malting Company was born. From their original Phoenix Lager, they now brew over 18 beers year round with a slew of seasonal and inventive casks adding to an unbelievable amount of beer genius coming from a small brewery. 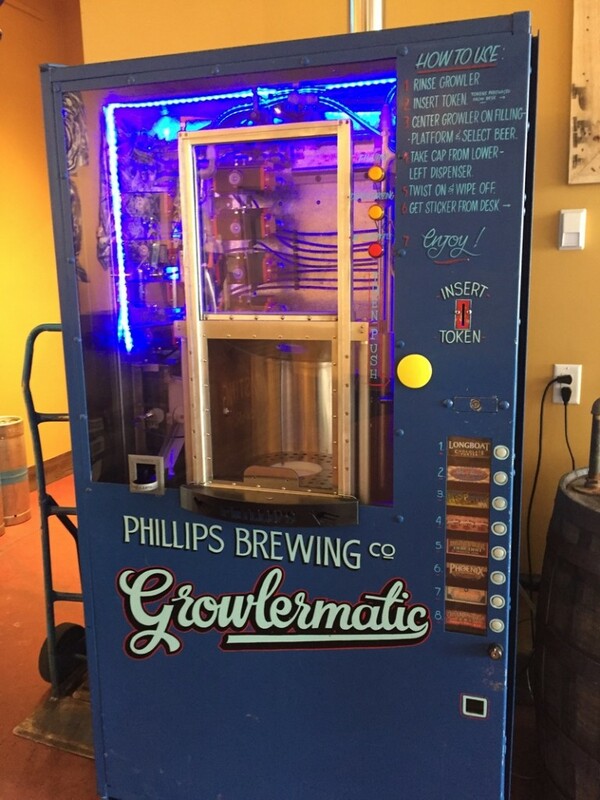 Phillips environmental philosophy of great beer with minimal waste earned them the 2015 International Green Company of the Year award. A small example of this that I found interesting is called the spent grain program. This is where local farmers pick up the grain after its been used in a brew and use it to feed their cows! After sampling a barrage of beauties like Phillips Blue Buck, Phoenix Lager, Green Reaper and Hop Circle, off we went into the brewery room. I was greeted by rows of shiny massive tanks with beer in various stages of production, wooden casks with one of a kind brews, a bottling line complete with a label machine (Phillips has some of the best artwork on their labels I have ever seen, their Electric Unicorn is my favorite in the industry) and a pretty funky looking canning machine. AC/DC blasting from the backroom made the atmosphere feel like home. 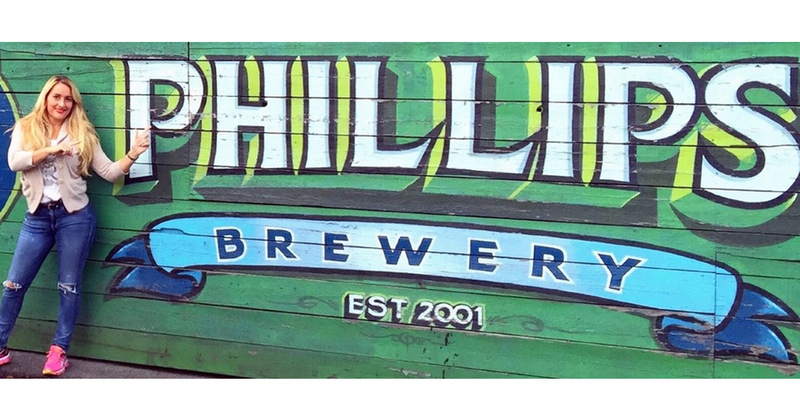 The people we’re like family and the beer, well lets say Phillips Brewery makes unbelievably unique brews and are of a quality that all craft breweries strive to be. I urge you to find some Phillips (go for one of their insane IPA’s if your a hop head or the Longboat Porter if you’re into the darkside) and enjoy. Guaranteed you will love it as much as I do. 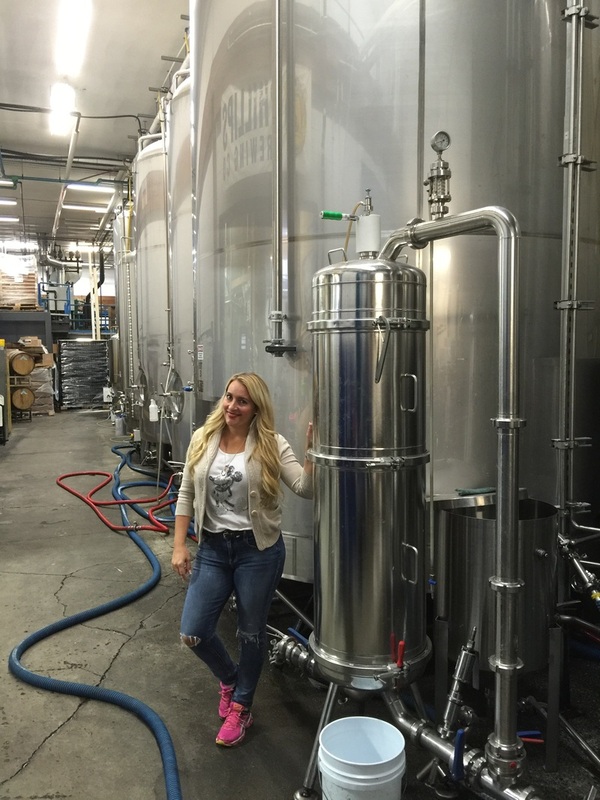 To learn more about Phillips Brewery and the beers they make, click here.